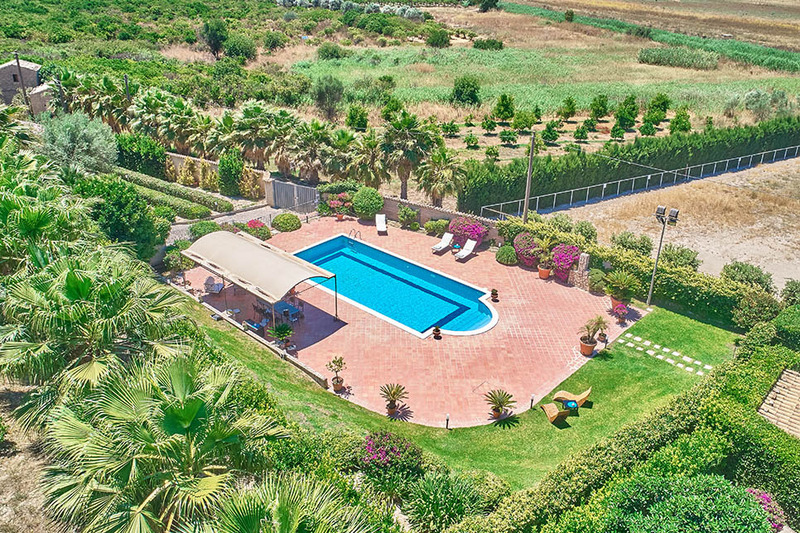 Situated at the heart of one of Sicily’s principal citrus-growing areas, in eastern Sicily, Villa Dinira offers a unique combination – a heavenly bolthole for two with its own magnificent private garden and pool. 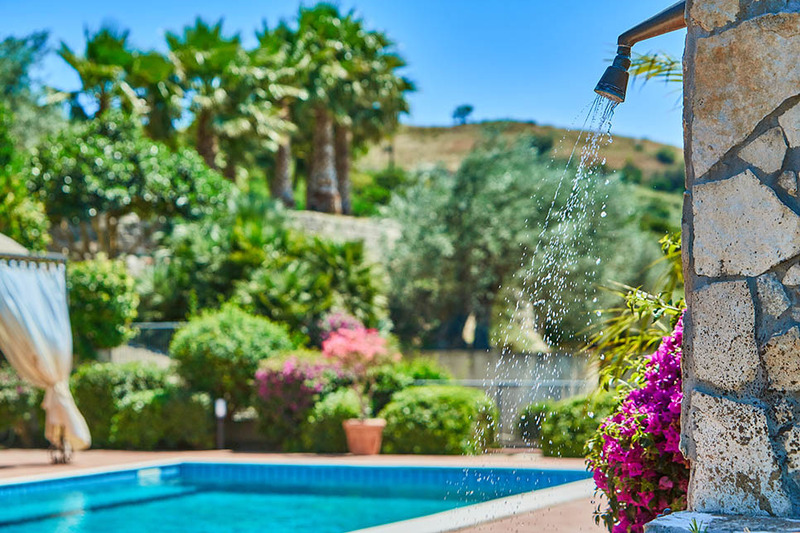 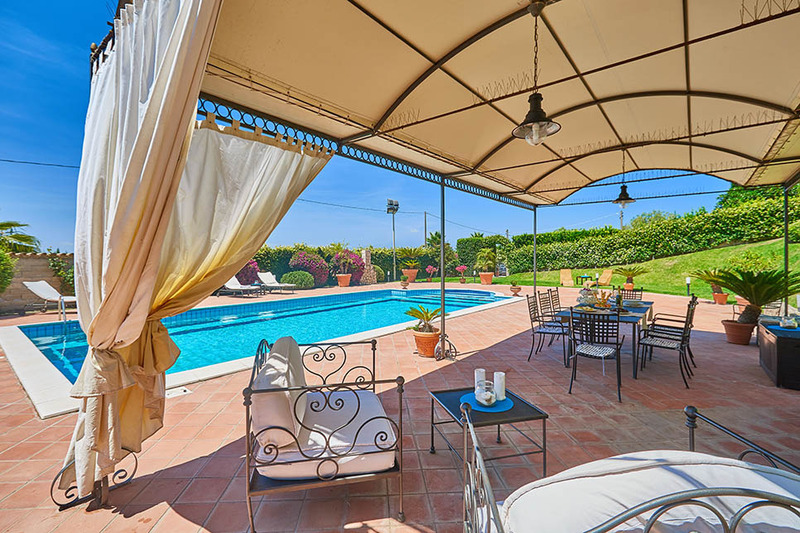 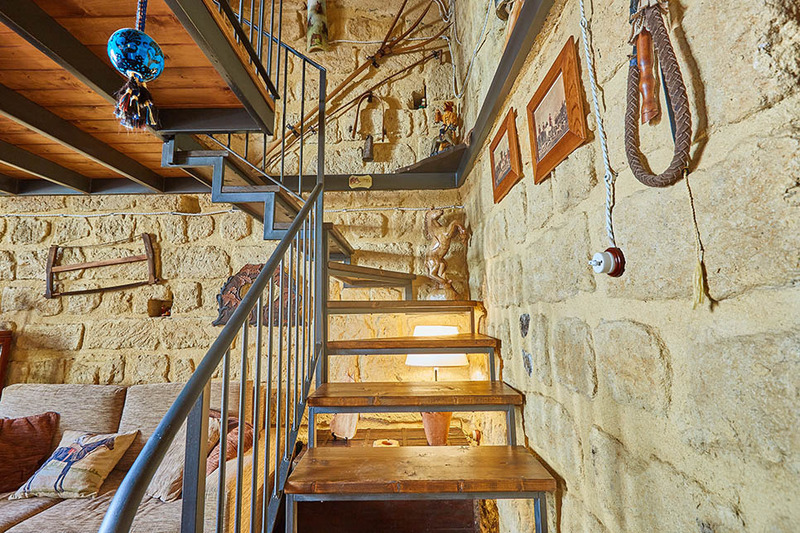 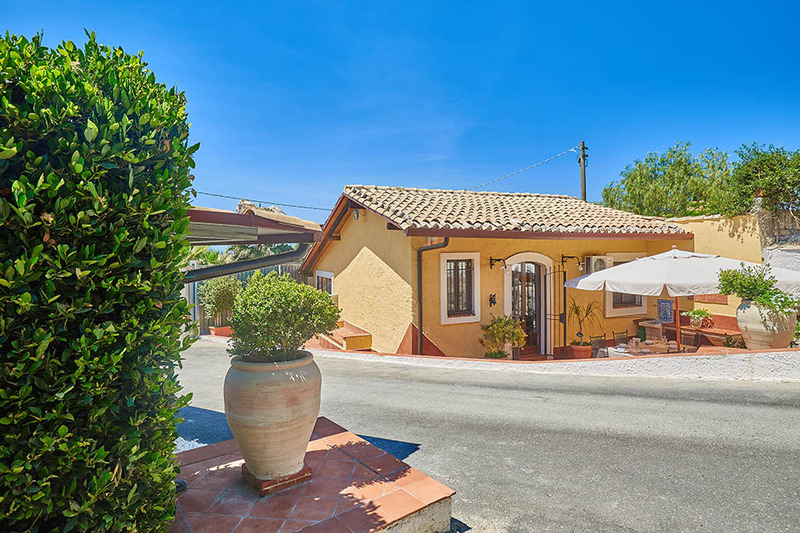 With towns such as Caltagirone, Palazzolo Acreide and Syracuse all within easy reach, the villa is ideally placed for couples who want to explore the east side of the island. 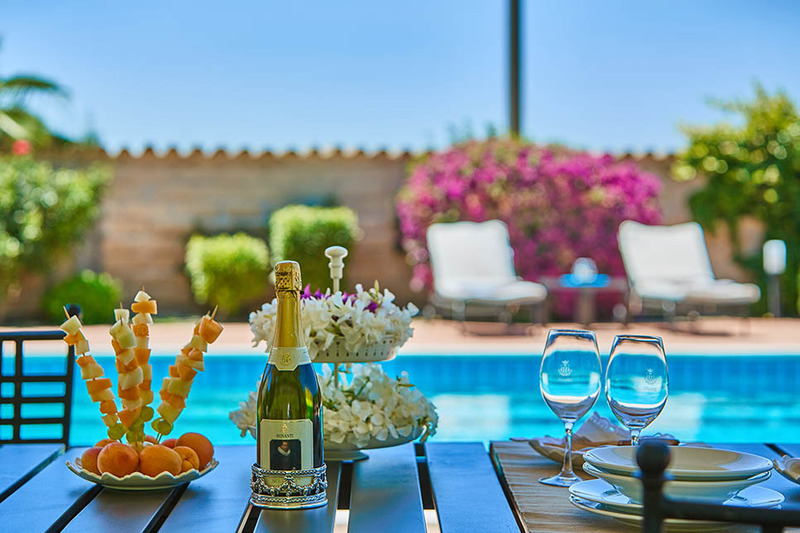 The villa has sole use of a walled and perfectly secluded garden, awash with flowers and with lush lawns. 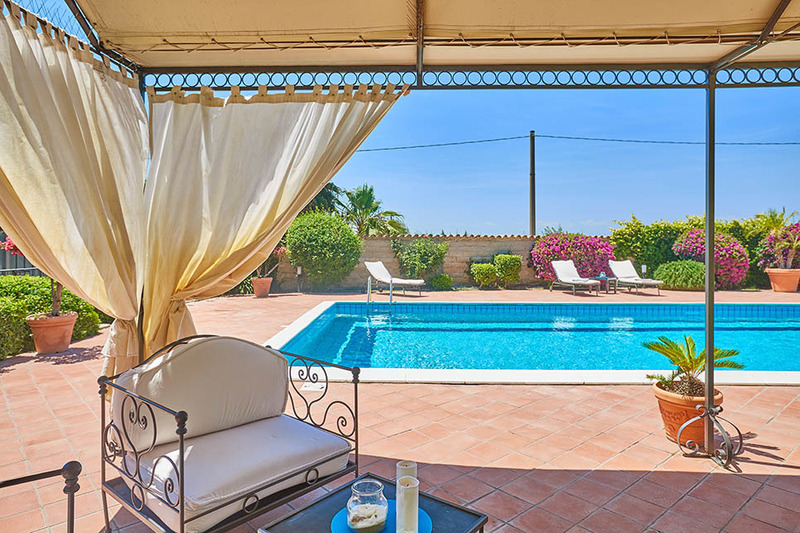 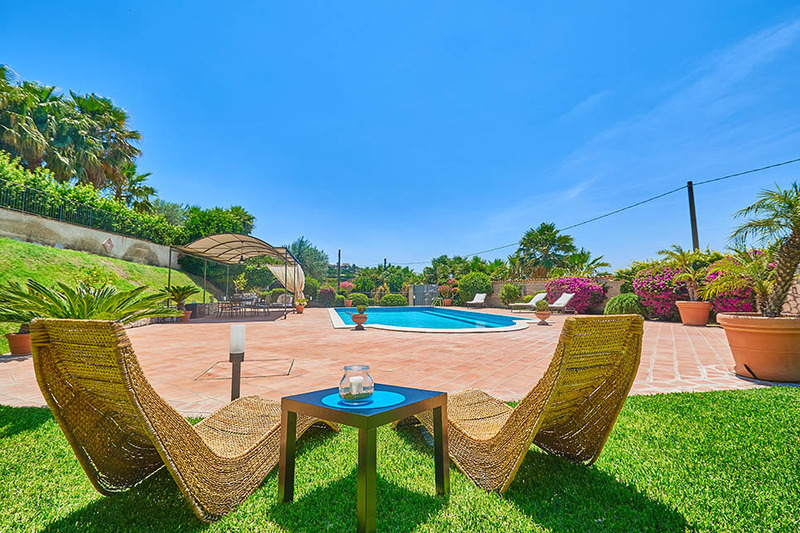 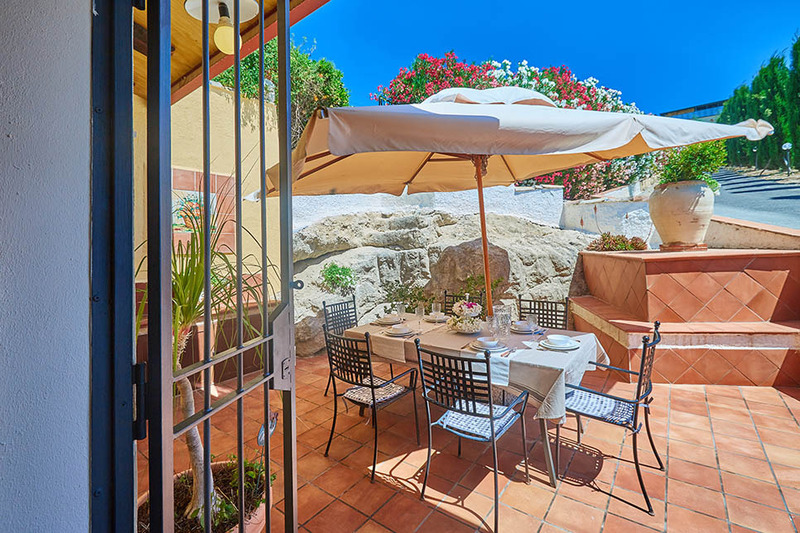 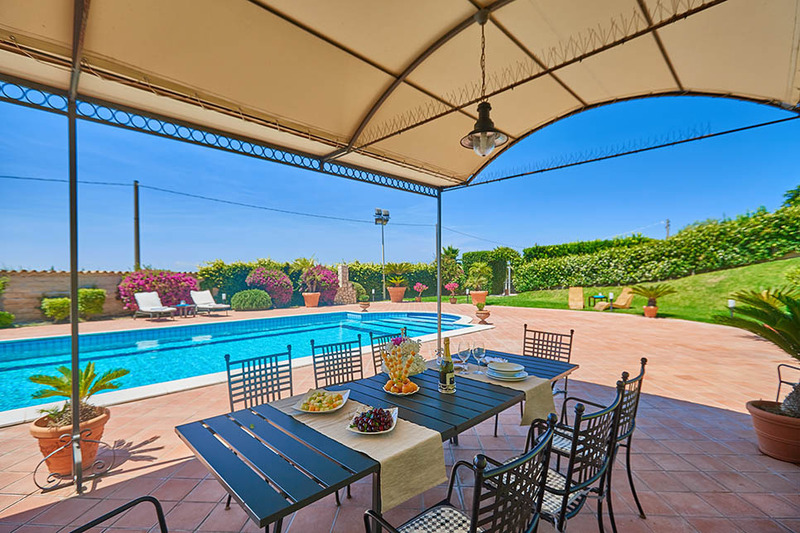 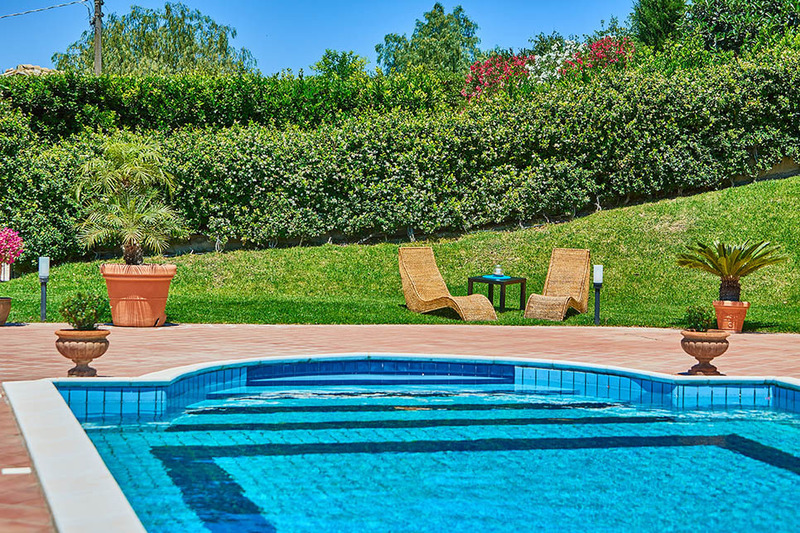 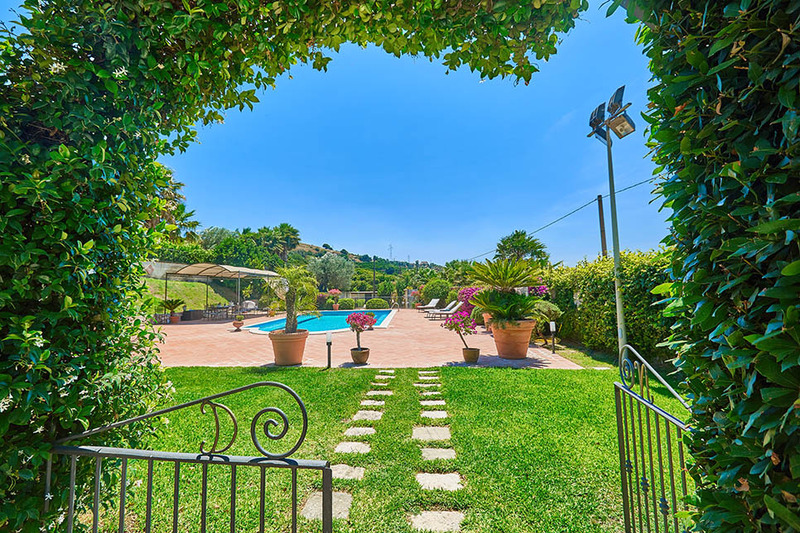 The high spot of the garden is the fabulous private pool, surrounded by furnished terraces and overlooked by a delightful pergola with a dining area and sofas. 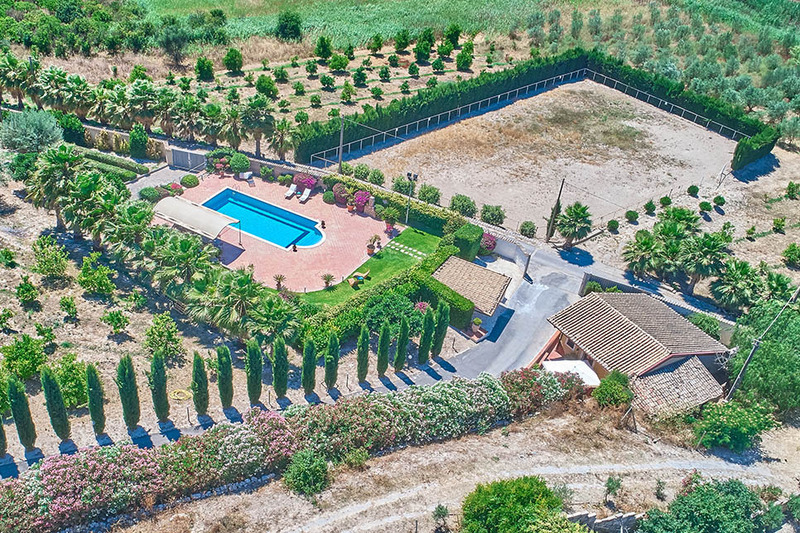 The garden is set slightly apart from the villa, separated from it by a small private road which forms part of the property and is not used by the public. 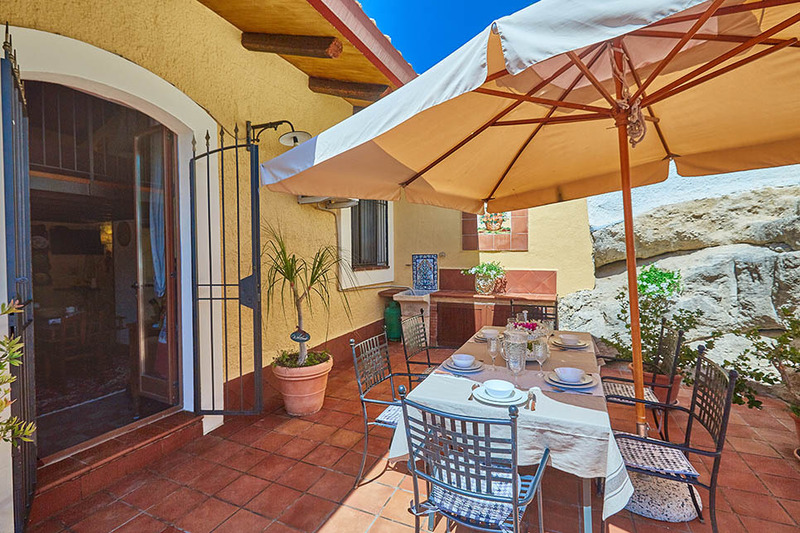 Outside the villa, there is a dining terrace with a table and chairs and small outdoor kitchen area with a sink and several cupboards. 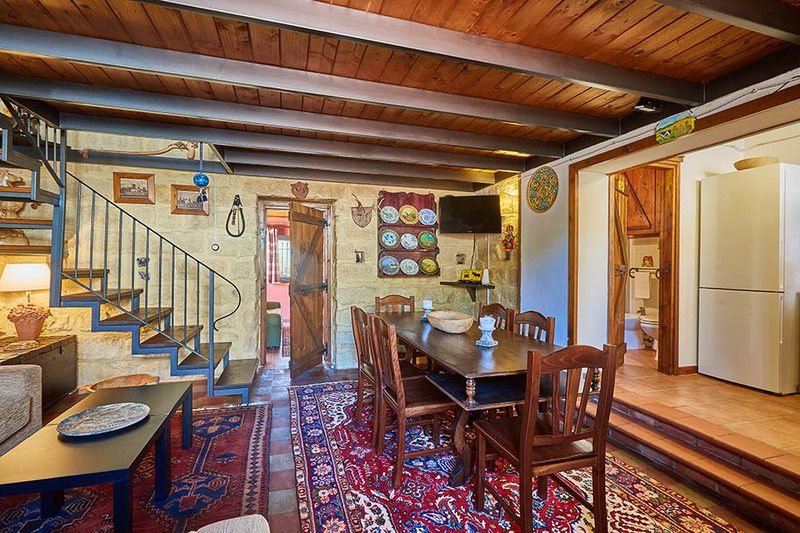 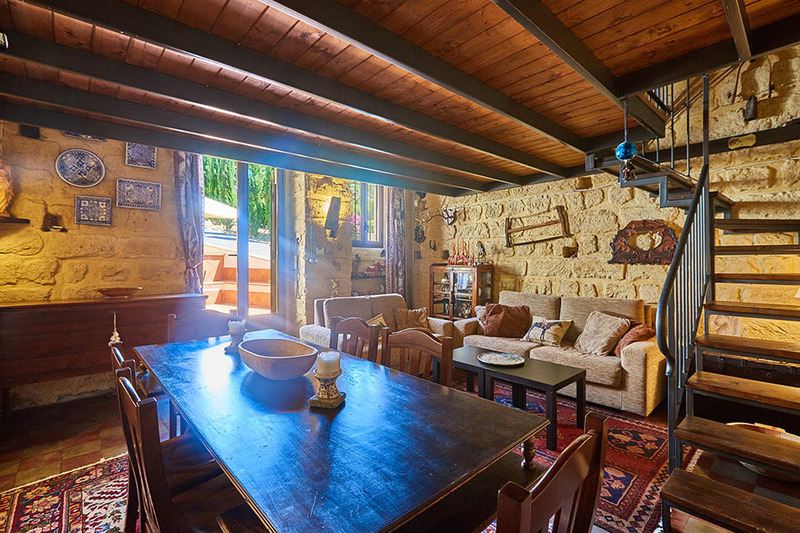 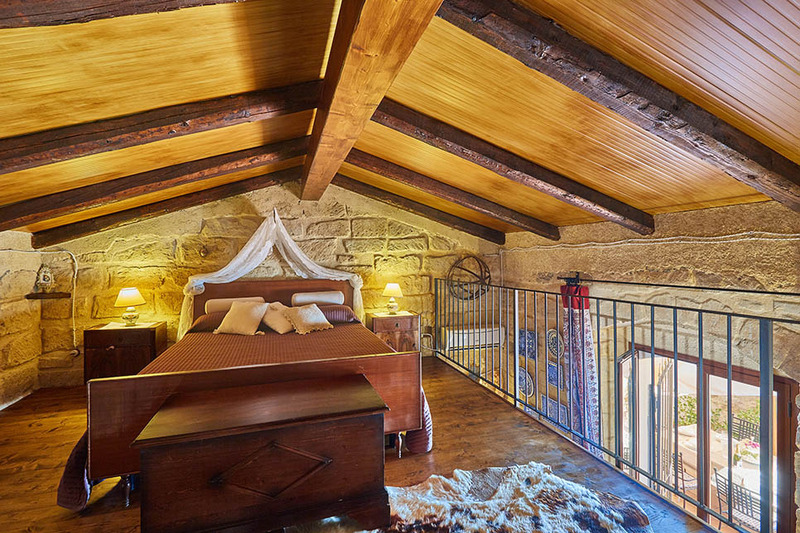 Inside, the villa is full of character, with terracotta floors, scattered rugs and beamed ceilings. 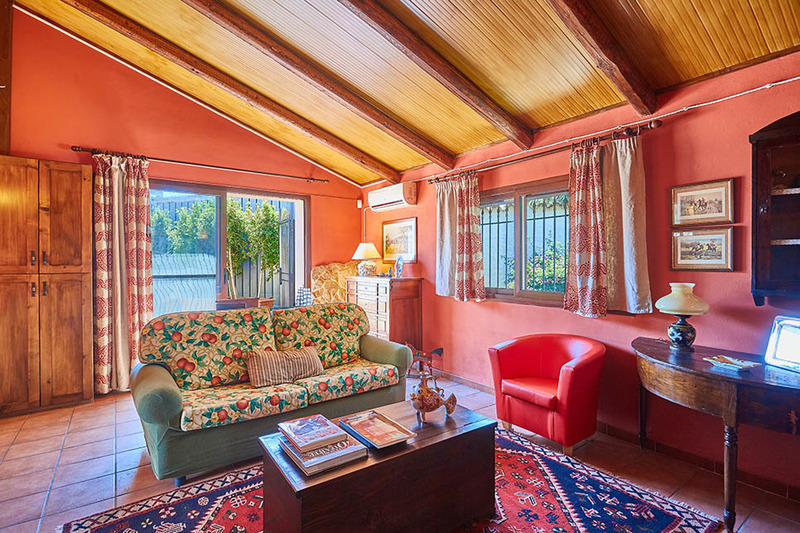 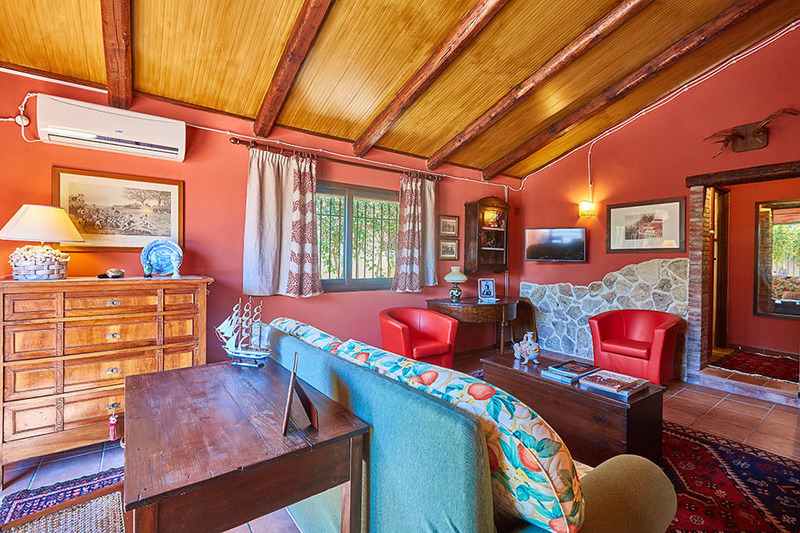 On the ground floor, there are two living rooms, one a dining room with beautiful antique dining table and a sofa, the other a cosy lounge, in addition to a small kitchen and and two shower bathrooms. 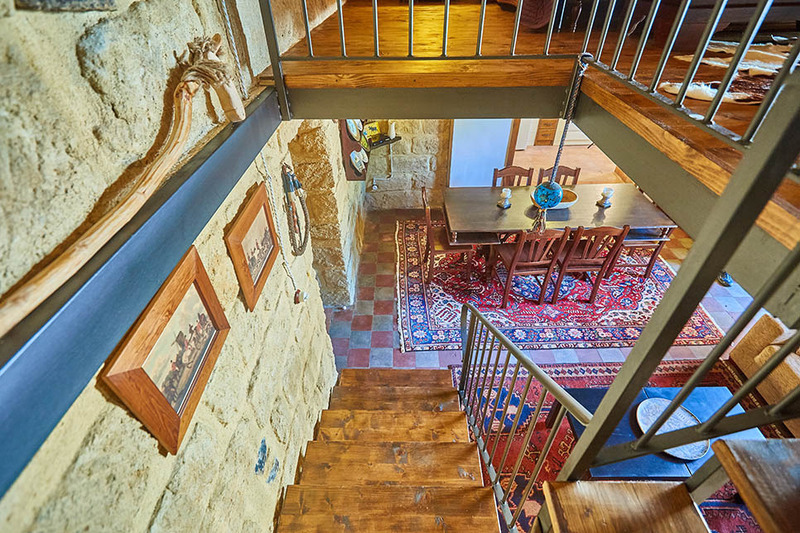 Stairs lead from the dining room to a mezzanine bedroom with a romantic setting under the eaves. 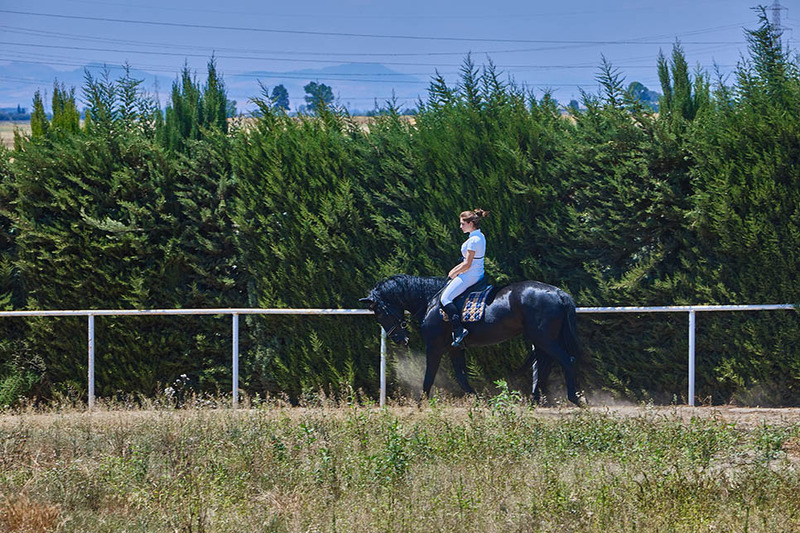 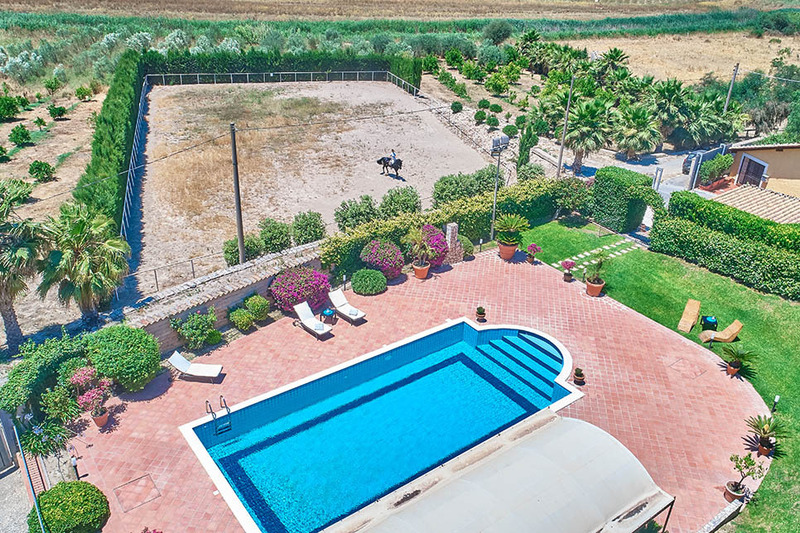 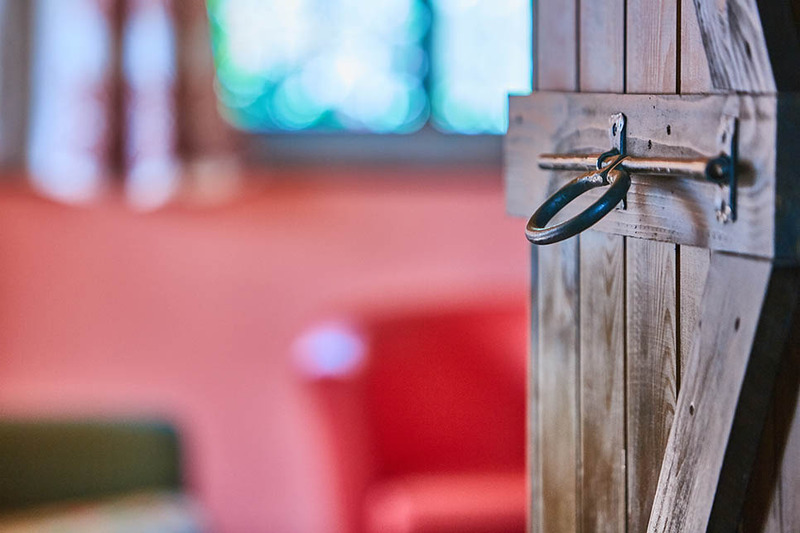 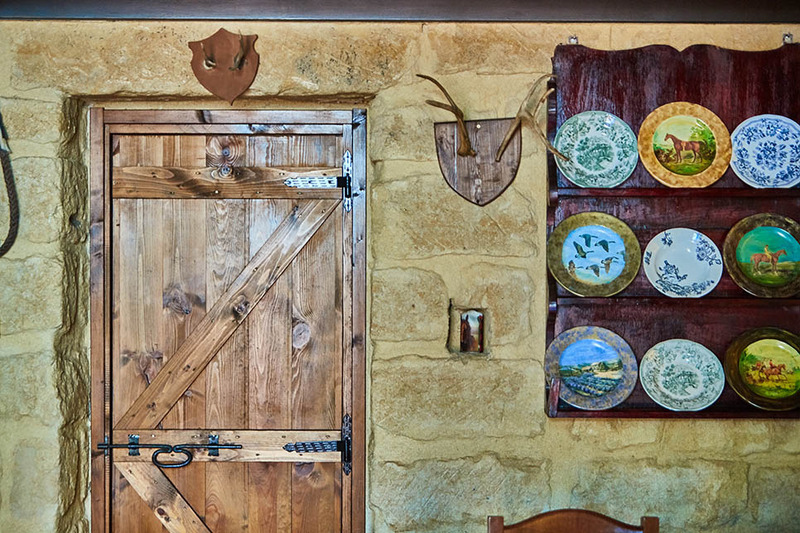 Additional facilities include horse-riding, accompanied by the villa owner, in the field at the rear of the garden. 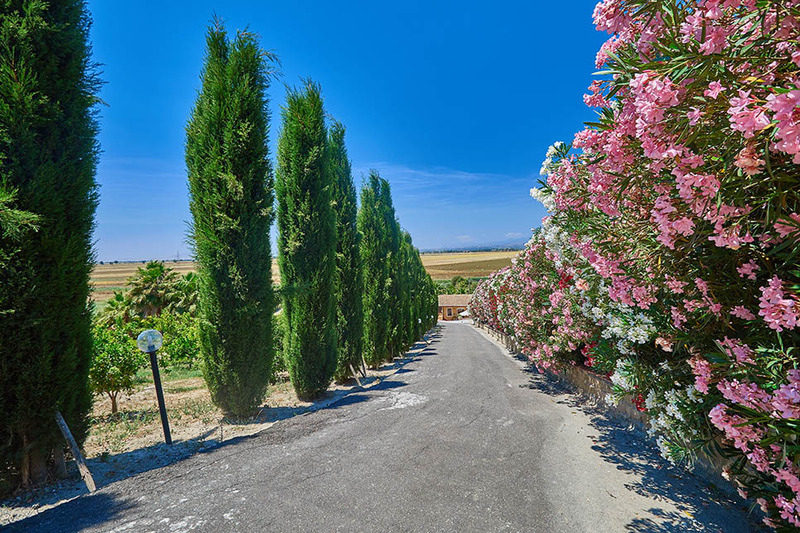 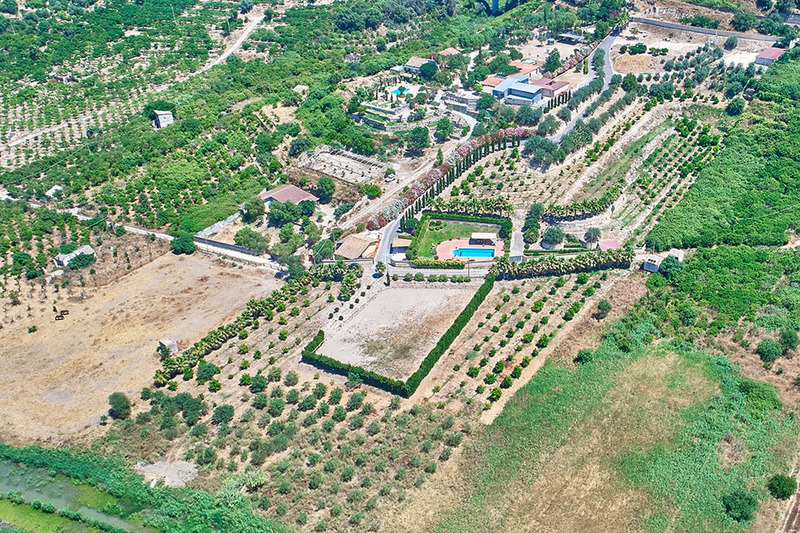 The area around Villa Dinira is largely agricultural and much of the landscape is dominated by vineyards, olive groves and citrus tree orchards. 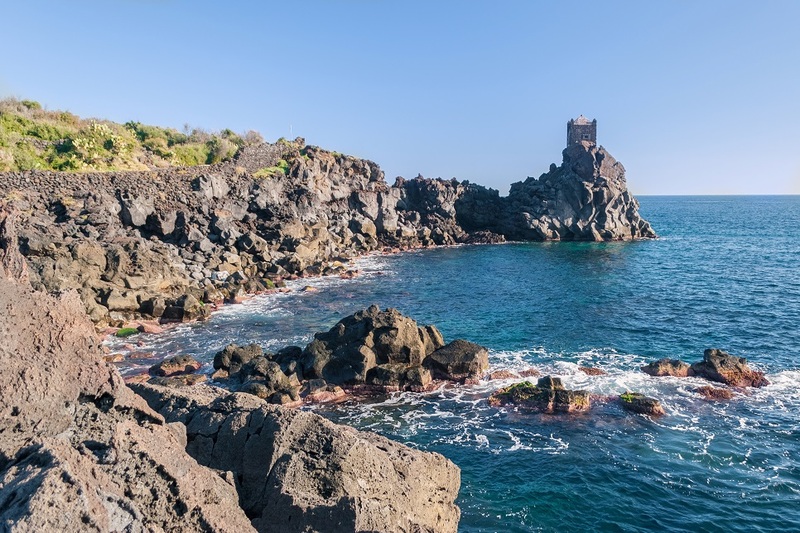 The Riviera dei Ciclopi offers excellent swimming but for the best sandy beaches, we recommend heading north to the Timpa Nature Reserve. 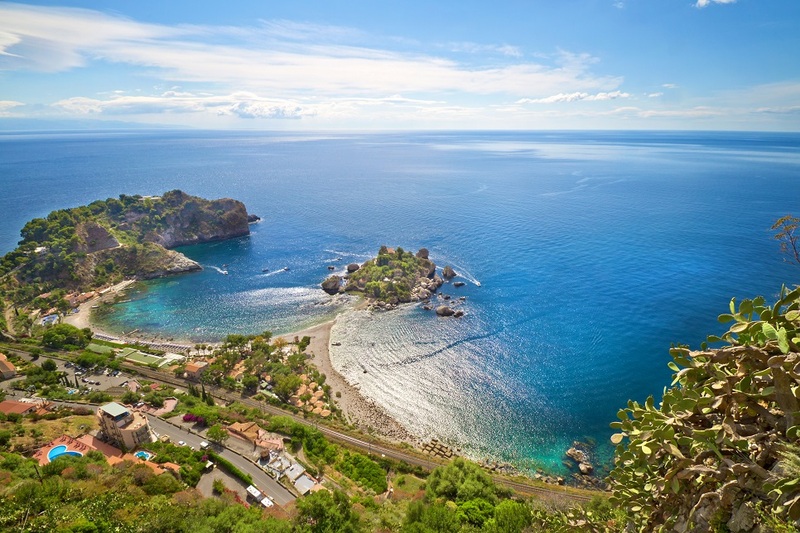 Alternatively, it is under an hour to the sandy beaches to the south of Syracuse, at Fontane Bianche, or, for underwater enthusiasts, to the Plemmirio Nature Reserve. 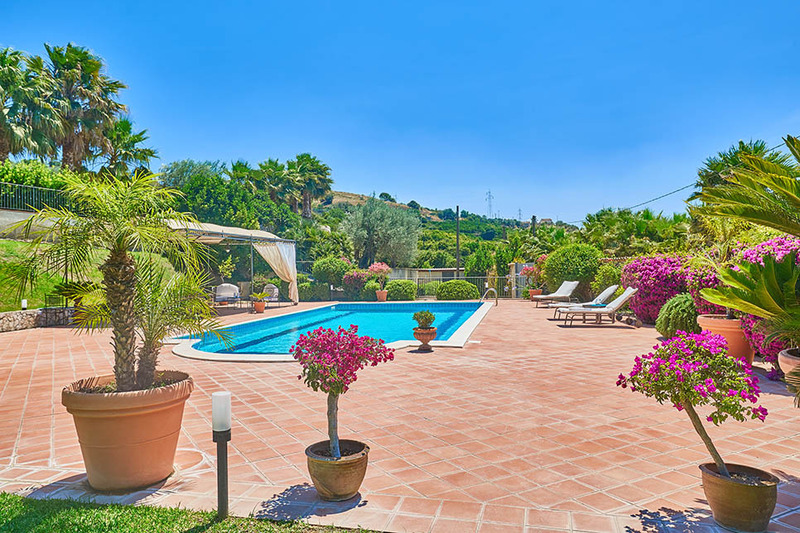 One of the main attractions of Villa Dinira is its proximity to so many of Sicily’s most fascinating towns and cities. 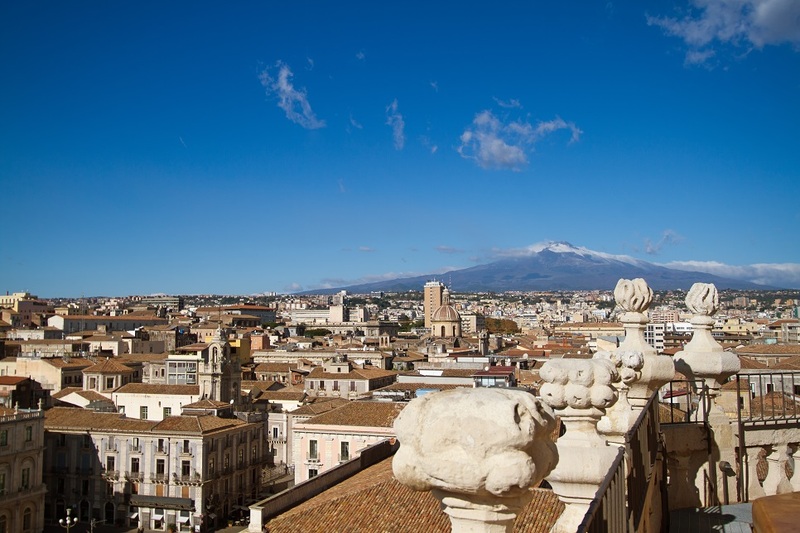 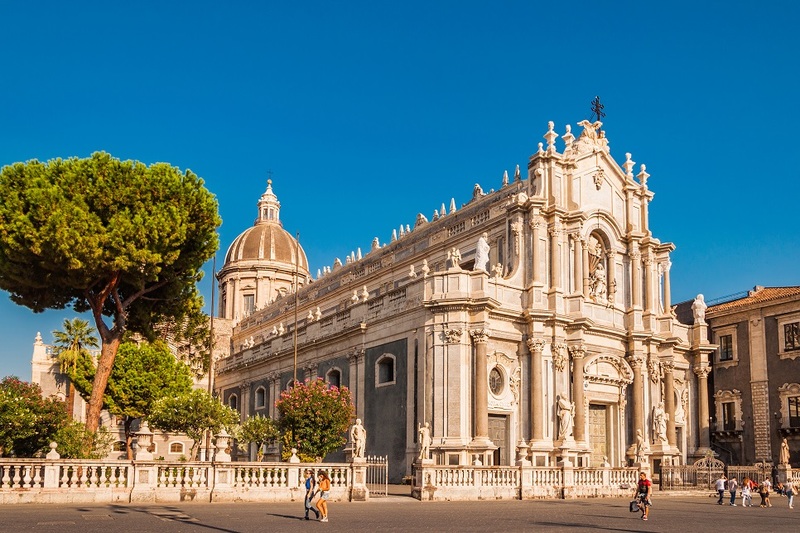 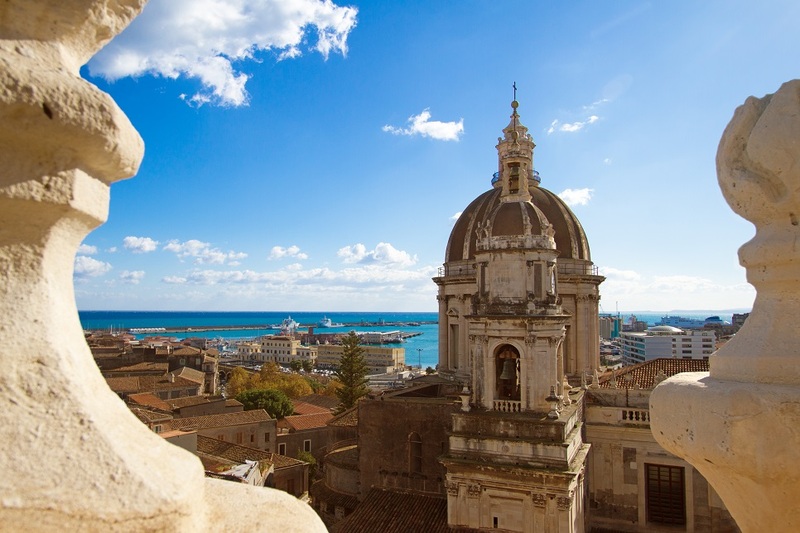 Little more than half an hour away, the UNESCO-listed historic centre of Catania is well worth a visit, particularly for foodies, thanks to its amazing fish market and street food tours. 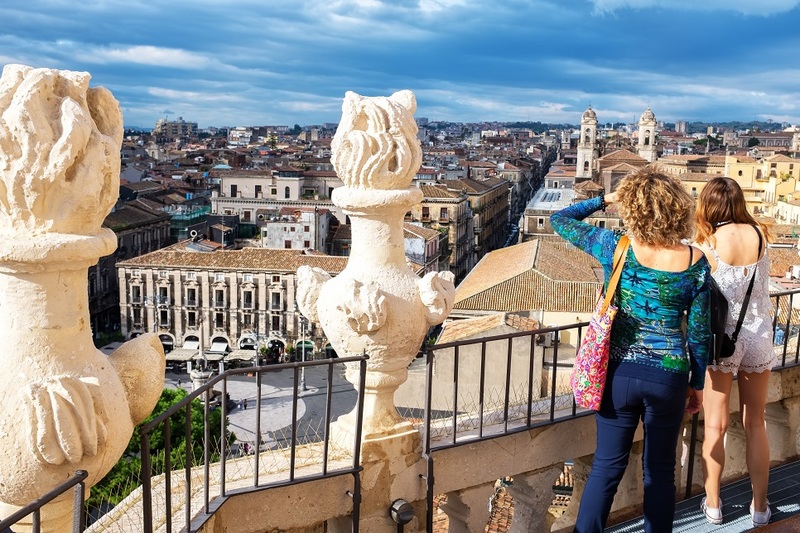 The UNESCO towns of Caltagirone and Palazzolo Acreide are often overlooked in favour of Syracuse and Ragusa but are certainly worth a visit. 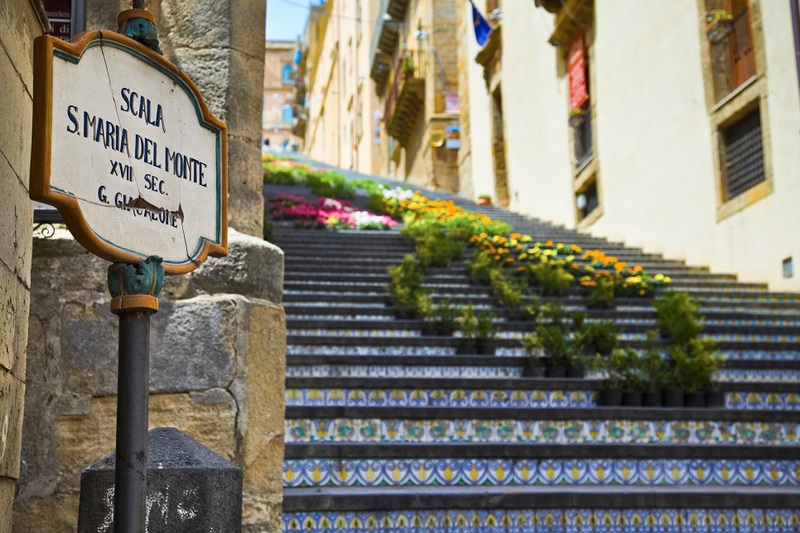 Just beyond Caltagirone is Piazza Armerina, best known for the astonishing Roman mosaics at Villa Romana del Casale. 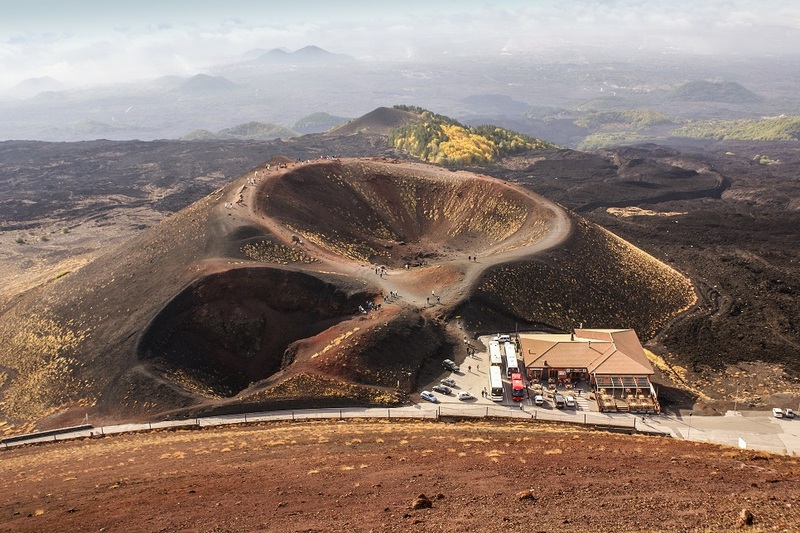 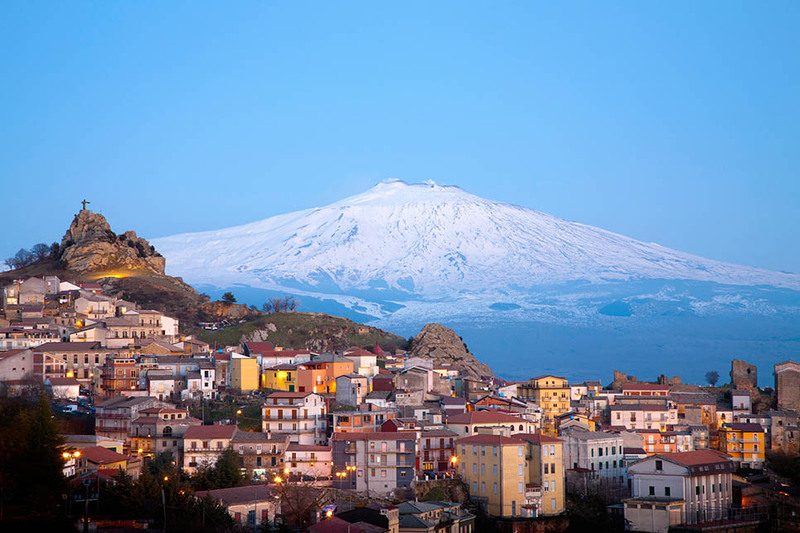 For outdoor enthusiasts, hiking, cycling and other adventure activities can be arranged on Mount Etna and at the Alcantara Gorge. 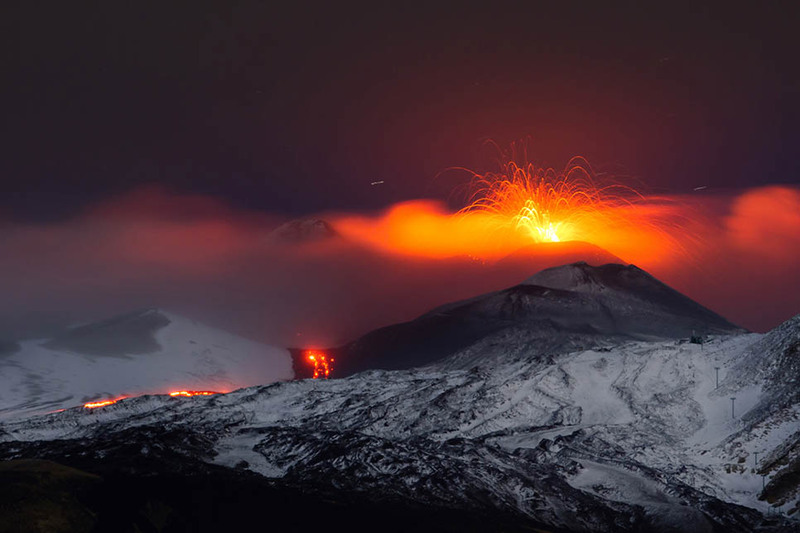 Very helpful and easily contactable with a prompt response. 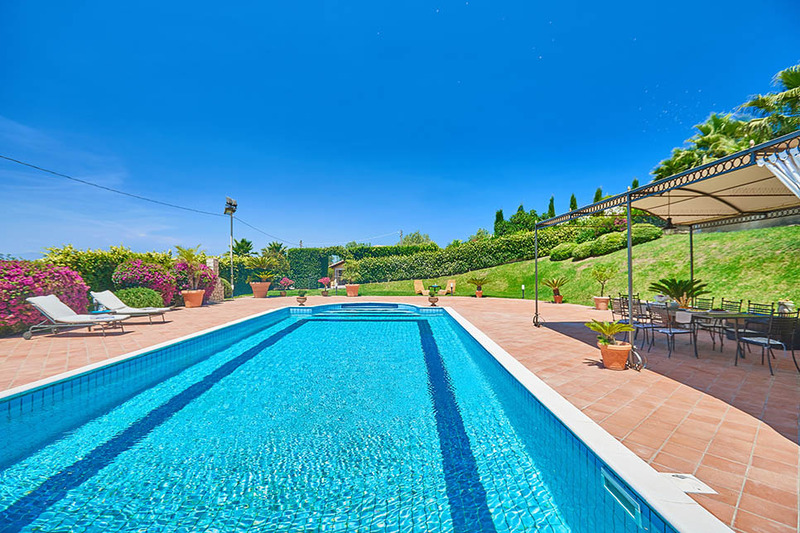 The villa was good and the pool was excellent. 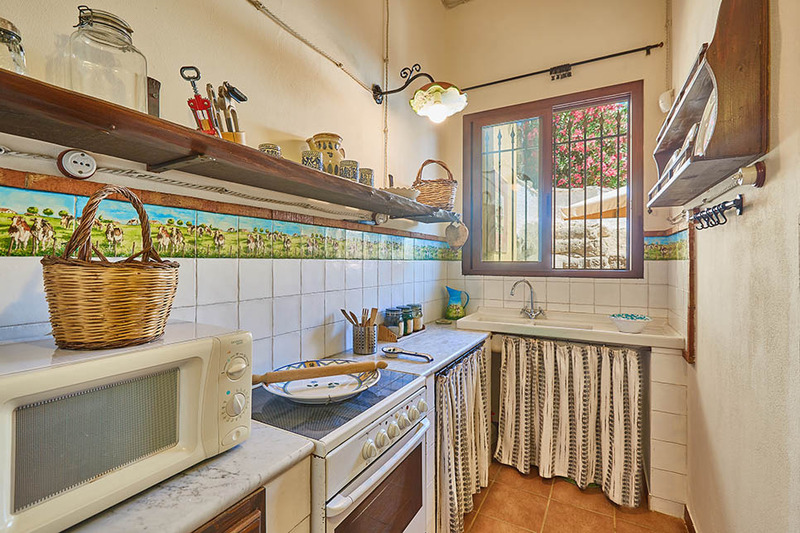 Raffaella was very helpful. 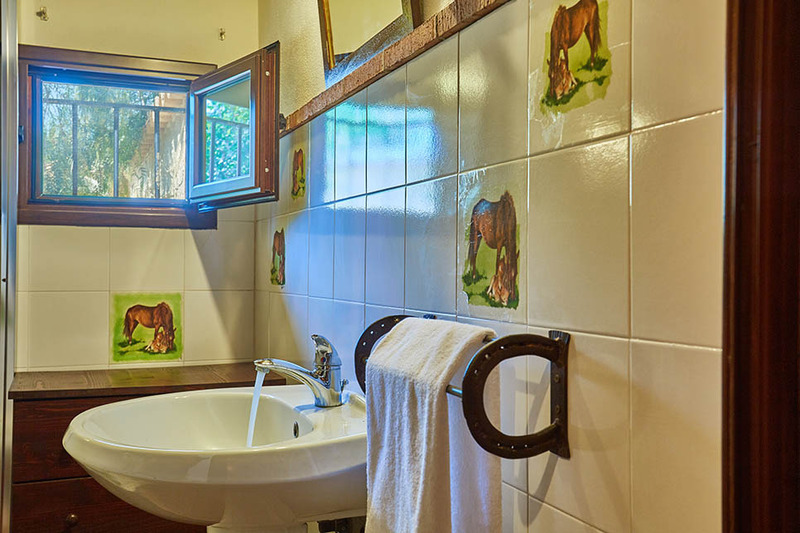 Villa Dinira was clean, tidy and beautifully appointed. 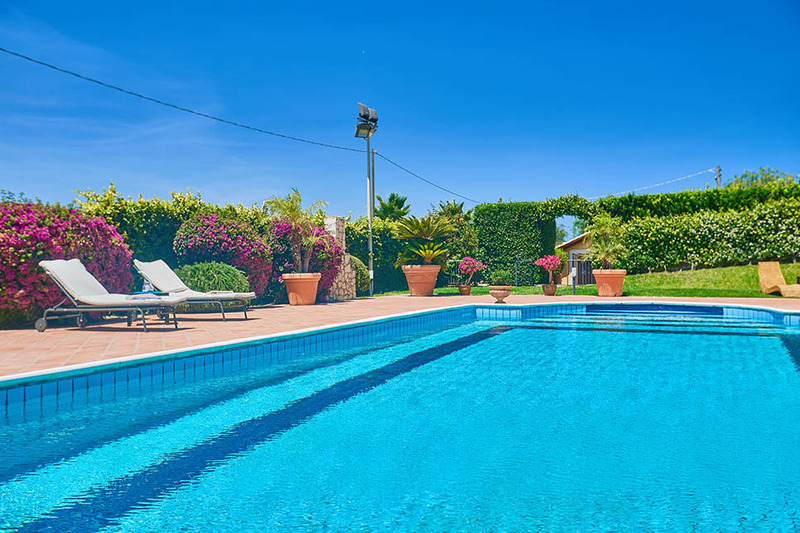 An extremely relaxing week and Raffaella was a really helpful host. 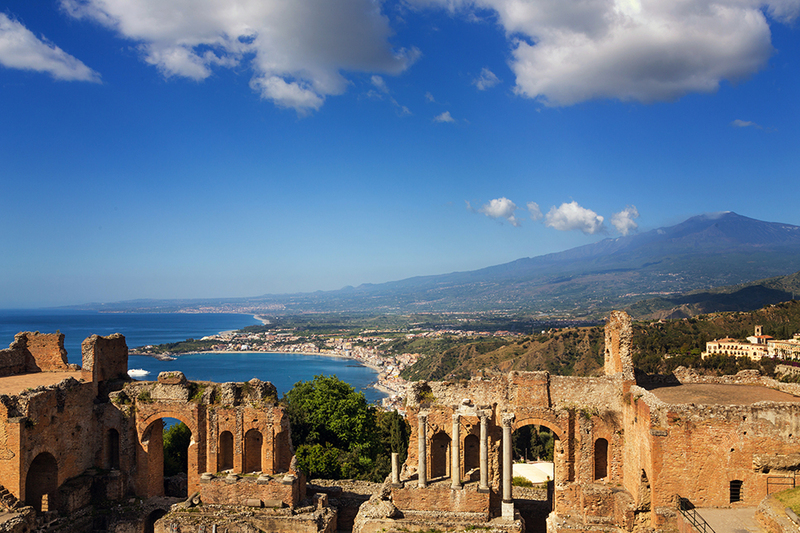 Wish Sicily were very helpful with all the logistics for our vacation and addressed our queries responsively.